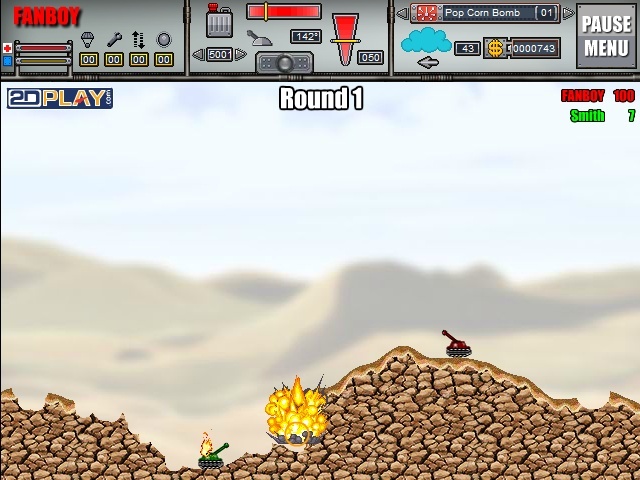 Two Player Tank Aim And Shoot Skill 2d Play Versus 3 Player 4 Player 5 Player Click to find more games like this. Cheat: Unlimited ammo, cash, resources. 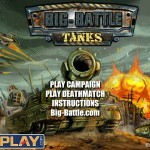 Your mission in this side-scrolling turn-based heavy metal carnage is to destroy the enemy tanks to win the battle. 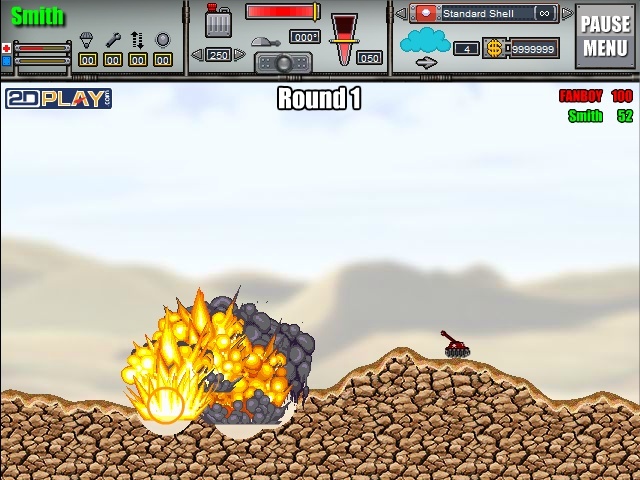 This time the game comes with more weapons, larger explosions and. Play solo or against friends on randomly generated destructible battlefields. Choose from a roster of wicked weapons to blast your way to victory in the multiplayer and campaign modes. 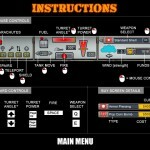 Air strikes, tactical nukes, spider bombs, forcefields and much, much more are all part of your awesome arsenal. But pick your targets well as environmental factors like wind. 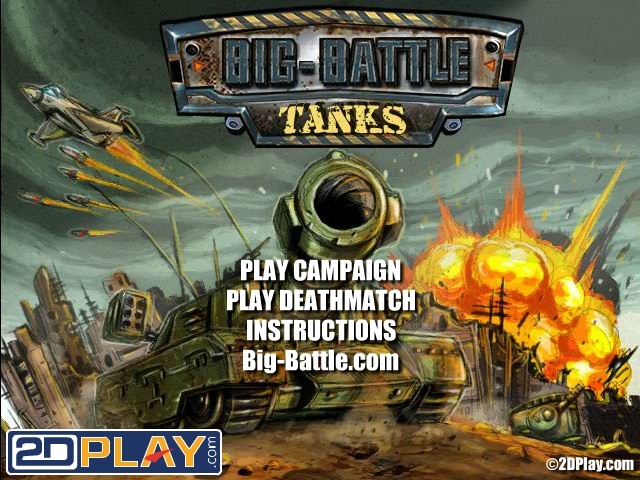 Use LEFT and RIGHT ARROW KEYS to move tank. 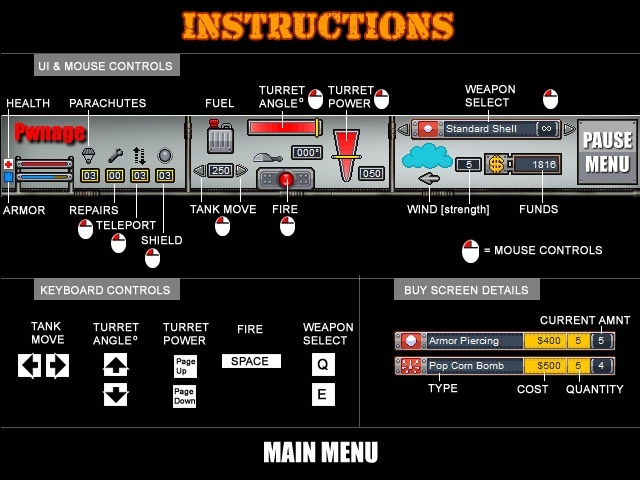 Use UP and DOWN ARROW KEYS to set turret angle. Use PAGE UP and PAGE DOWN to set turret power. Press SPACEBAR to fire. Use "Q" and "E" KEYS to select weapon. Good luck!